The Otacho Young Stars are based in Rongo, Nyanza Province, Kenya. We recorded them on our field trip in late 2011, capturing the music of the Luo people. They performed for us in Dinky’s Resort Club, an old dance hall with a grass arena behind it that made the perfect stage for their upbeat and energetic performances. They performed five songs with us at the resort, including ‘Charles Manager’, a sincere song showing gratitude to the manager of a factory who has been doing a good job. We asked them to join us in the Ketebul studio in Nairobi to record this song, renamed Mr Manager, which you can listen to here. 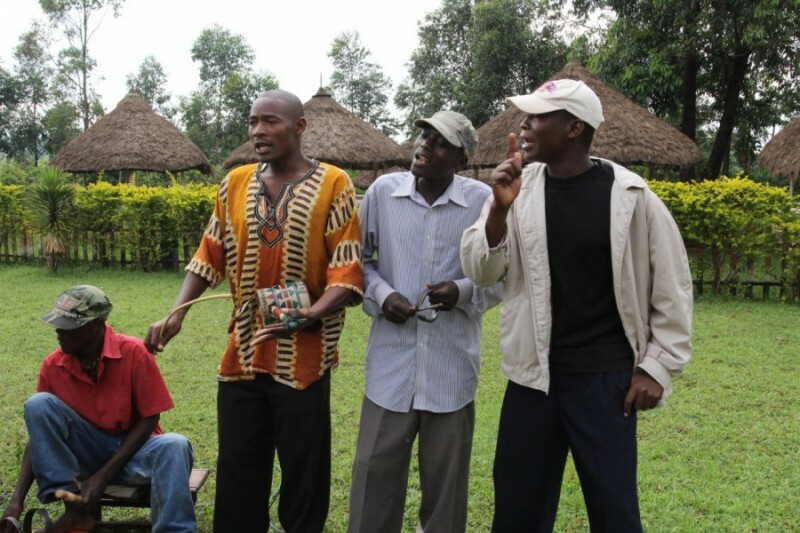 The percussion in this group is particularly impressive, with ongeng’o rings used both by themselves, and also together with the Nyangile, a wooden box topped with two of the rings, one of which is held with the feet, and beaten with a stick.